The latest Volkswagen CC 2.0T Sport, which comes on the auto market as a car of 2015 model year is based on the well-known Passat that was reduced in space at the back and got new longer doors. Now, according to that novelty presented by Volkswagen, the new CC is able to compete with German cars of the luxury segment. The renewed model has become better anyway and more value. Well, after some driving tests, the Volkswagen CC 2.0T Sport may be competed with Mercedes C300 and Audi A4, besides, any midsized sedans of the Japanese auto manufacturers. Inside, the novelty has gotten new more elegant interior covered with some pleated and perforated material. The technical features include the dual-zone automatic climate control, the rear-view camera and, certainly, the navigation system. 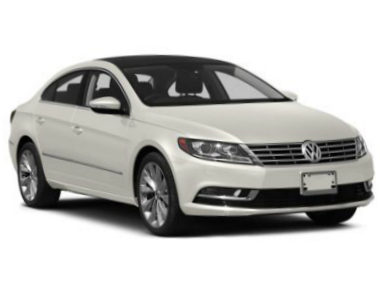 Presently, we have got the information about the basic version of the Volkswagen CC 2.0T Sport. It is known, the novelty is equipped with the 2.0-liter turbocharged engine, which we have been able to notice on the name of the car (2.0T). That powertrain will work with the manual gearbox. The car will be available with the front-wheel-drive.